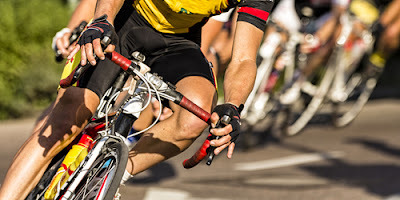 Lawyer Singapore: How To Claim For Bicycle Accident? 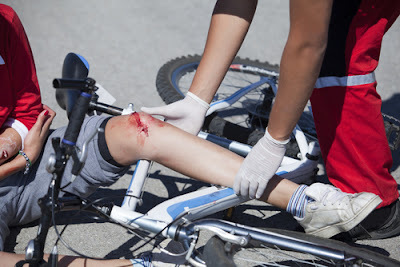 How To Claim For Bicycle Accident? Bicycling has become a very popular means of transportation, both for recreation and for commuting to work. As the price of gas has skyrocketed, more people are turning to their bicycles as an economical means of transportation. It is also a great alternative for those who are trying to watch their carbon footprint. As great as they are for transportation, they can be very vulnerable when they are sharing the road with large and powerful cars and trucks. When an accident occurs between a motor vehicle and a bicycle, the bicycle rider usually comes out the loser since there is so little to protect the rider. Usually, a bicyclist is only wearing a helmet so that serious injuries can occur. · If you’ve been in a catastrophic accident, you may wish to ask your lawyer or team looking after you to do an immediate needs assessment’. These work out what you need in the short and mid term to help you recover. In the case of accidents that require you to be wheelchair or crutch bound, you’ll possibly be able to get advance support such as thing to help you with house conversions. · You should sue if someone were negligent it’s not your fault that you were in an accident. · With a bit of forethought, and information about the best team to hire, you should be able to recover some recompense for your accident remember to always use a reputable legal team or no win no fee company. If you can’t find one, your home insurance may be able to recommend one for you (and if you have legal cover on them, they will give you a short list of whom to work with). · Once you’ve sorted out the legalities of the claim, remember to give yourself time to settle the case some are easily settled in a few months, while some take a year or years. Although you follow all of the rules of safety on the roads, you or someone you know may end up at the wrong place, at the wrong time, with the driver of a car who failed to obey the rules. The steps you take immediately after a bicycle accident can make the difference in successfully holding the car driver responsible. · Never let the driver convince you that they will handle it without reporting it to the police or their insurance company. Injuries and damages to your bike may not be apparent at the scene. Having a police investigation provides independent confirmation of what occurred. · Some drivers will stop momentarily and then leave without warning. Some fail to stop. In those situations, a description of the vehicle and a tag number may be all you have. When the driver stops and remains at the scene, get their driver's license information and any other identifying information they give you. · It is quite common for witnesses to identify themselves and fail to stop. Obtaining individual witness identification can make an enormous difference in proving the fault of the other driver. Any witness information you or someone else obtains should be given to the police but keep a copy for yourself, as well. · The exact location of the point of impact, the direction and movement of any vehicle involved, as well as any physical debris or marks on the roadway or surrounding surfaces can be critically important evidence. Have someone make note of such information, diagram it for yourself, make sure the police are aware of it and take any photos you can. Use your cell phone camera, if necessary. · Seek needed medical treatment. The failure to do this is one of the most common mistakes which will hurt an otherwise valid claim. · Make sure you describe to any doctor or medical provider how you were injured and the fact that you were hit on your bike by a car. Describe all of your injuries. Many times initial doctor reports are inaccurate. These inaccuracies can hurt a valid claim. · Do not assume the other driver will report the accident to their insurance company. They frequently do not, even in serious accidents. In Florida, your medical bills can be paid by your automobile insurance company under your No-Fault (PIP) coverage. You will need a claim number from your insurance company to give to medical providers. If you do not own a motor vehicle or have No-Fault coverage available to you, the No-Fault coverage on the car that hit you will be available for your bills instead. In this situation, you will need their claim number. · Damage to your bike needs to be documented by a repair shop and photographed to preserve evidence of it. You should consult with your lawyer whether the damaged bicycle should be repaired or preserved as evidence. Save all damaged items you were wearing such as helmet, gloves, clothing or anything else (i.e. backpacks, etc.) Make sure evidence is well photographed and preserved.